We are one of the Top 10 headphone manufacturers in China. 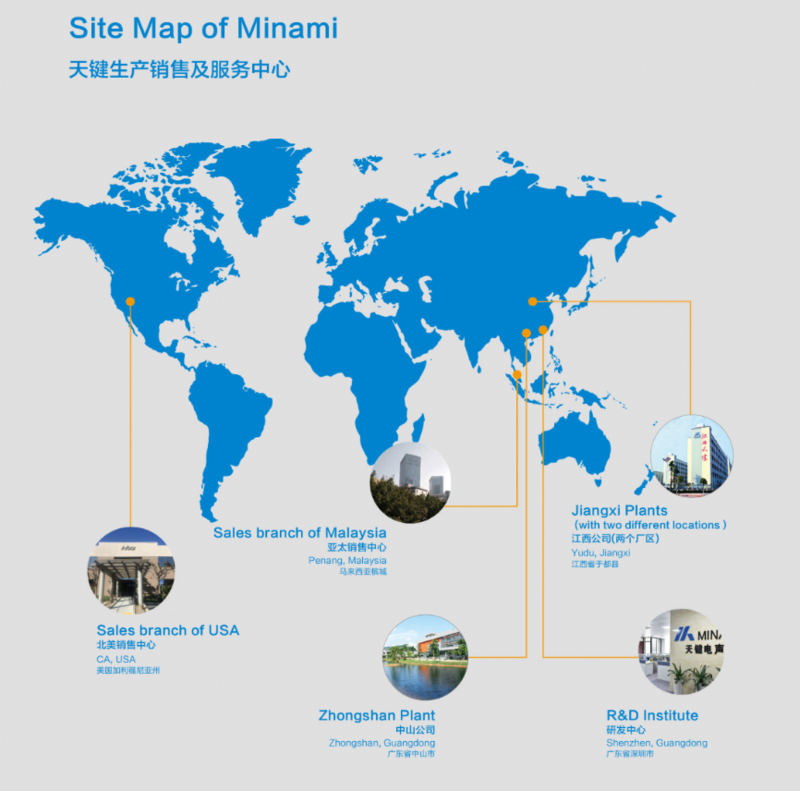 Founded in 1995, Minami develops and manufactures acoustical products to the world‘s leading Brands and OEM/ODMs of electronic products, with more than 5000 employees nowadays and THREE Industrial Zones in China. ANC headphone, TWS headset, portable speakers, drivers, ECMs, car-kit accessories and other acoustical components. Minami will continue its efforts on the fild of electro-acoustic products. We welcome to your inquires. Copyright © 2018 Minami Acoustics Limited.All Rights Reserved.